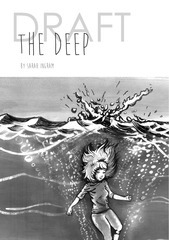 the deep draft v1 DRAFT the deep by Sarah Ingram DRAFT I know the bottom, she says. 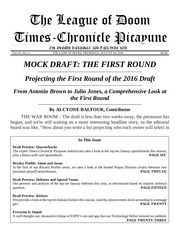 2 DRAFT TIME CHANGED ————————— Draft to Start at 2:30 PM, August 28th ————————— By SAFFRON CANDYSPRINKLER, Contributor AN ISOLATED AND PEACEFUL GROTTO – So, like, the draft time has changed. Due to that fact, it got in it really does not have to be simpler form of earlier method creating a draft. 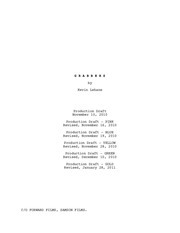 Grabbers Production Draft Alt G R A B B E R S by Kevin Lehane Production Draft November 10, 2010 Production Draft - PINK Revised, November 16, 2010 Production Draft - BLUE Revised, November 19, 2010 Production Draft - YELLOW Revised, November 28, 2010 Production Draft - GREEN Revised, December 10, 2010 Production Draft - GOLD Revised, January 28, 2011 C/O FORWARD FILMS, SAMSON FILMS. 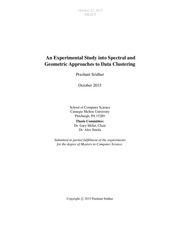 ENG 125 Week 3 Final Paper Rough Draft Ash ENG 125 Week 3 Final Paper Rough Draft Check this A+ Guidelines at http://www.assignmentcloud.com/ENG-125-ASH/ENG-125-Week-3Final-Paper-Rough-Draft For more classes visit www.assignmentcloud.com ENG 125 Week 3 Final Paper Rough Draft Final Paper Rough Draft. 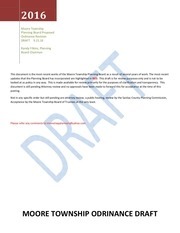 Proposed Wind Ordinance incorporation 092116 2016 Moore Township Planning Board Proposed Ordinance Revision DRAFT 9.21.16 Randy Filkins, Planning Board Chairman This document is the most recent works of the Moore Township Planning Board as a result of several years of work. UOP HRM 548 Week 3 Recruitment and Selection Strategy Draft HRM 548 Week 3 Recruitment and Selection Strategy Draft Develop a draft of the Recruitment and Selection Strategy portion of the Recruitmentand Selection Strategy/Rewards andCompensation Plan for the organizationselected as a team. 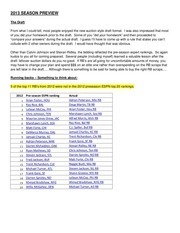 2013 SEASON PREVIEW 2013 SEASON PREVIEW The Draft From what I could tell, most people enjoyed the new auction style draft format. 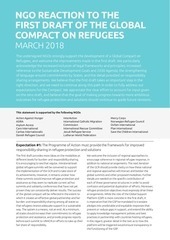 ngo reaction to the first draft of the gcr march2018 NGO REACTION TO THE FIRST DRAFT OF THE GLOBAL COMPACT ON REFUGEES MARCH 2018 The undersigned NGOs strongly support the development of a Global Compact on Refugees, and welcome the improvements made in the first draft. 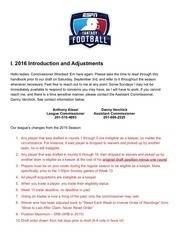 Please take the time to read through this handbook prior to our draft on Saturday, September 3rd, and refer to it throughout the season whenever necessary. STAYER BUS 510 Week 4 Assignment 2 STAYER BUS 510 Week 4 Assignment 2 Drafting a Basic Proposal Check this A+ tutorial guideline at http://www.assignmentclick.com/bus510-stayer/bus-510-week-4-assignment2-drafting-a-basic-proposal For more classes visit http://www.assignmentclick.com BUS 510 Week 4 Assignment 2 Drafting a Basic Proposal Your next task is to create the basic first draft of the proposal for Goodness Falls. On the other hand, what happens if you were not able to draft your will and the saddest moment comes?